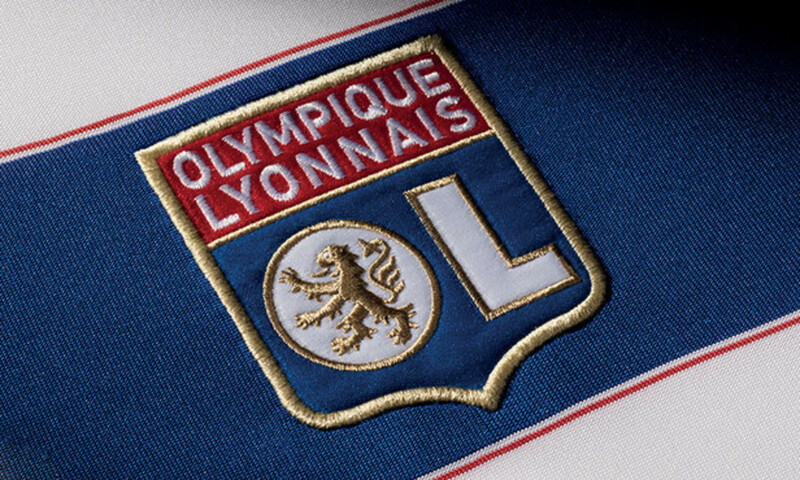 OL have gone down two-nil at the Stade Geoffroy-Guichard. 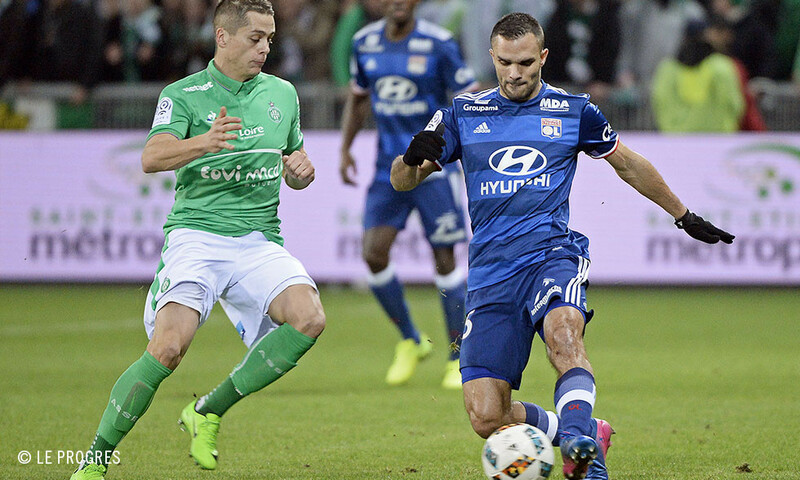 Lyon, reduced to nine men by the end, came up against a steely Saint-Etienne whose hard pressing right from kick-off earned them two early goals. This twelfth league loss of the season leaves Lyon 12 points off the top three. 9'. Monnet-Paquet takes advantage of a defensive error to score. 1-0. 13'. Tolisso's header hits the crossbar. 21'. Lopes does well to save a header from Perrin. 22'. Hamouma scores after getting around Lopes. 2-0. 47'. Ghezzal loses out when one-on-one with Moulin. 54'. Moulin repels Memphis's shot with his foot. 83'. Lopes holds Roux's shot. 90+2'. Ghezzal then Tolisso are sent off. 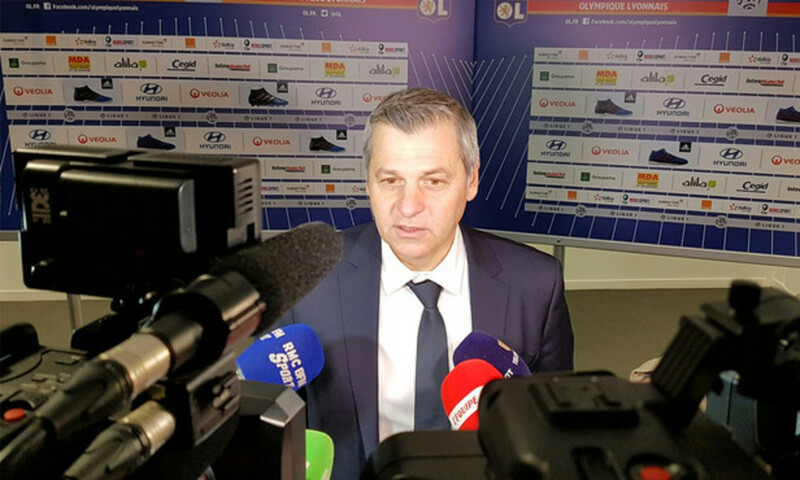 Bruno Genesio's men were keenly awaited on this derby night. By Saint-Etienne in their fervent stadium but also by the Lyon fans who were hoping for a positive reaction after two disappointments in recent days. The match began badly for Lyon with an error passing out of defence that was punished by Monnet-Paquet. But Lyon let everyone know of their determination to not be beaten... Tolisso's header rattled the crossbar. And Lopes' talent was the only thing that miraculously kept Perrin's shot out... but there was nothing the keeper could do about Hamouma's dribbling act that saw the score double by only the halfway point of the first half. And despite being ascendant before the break, Lyon didn't manage to create much danger. Lyon continued in this fashion after the break with a one-on-one between Ghezzal and Moulin... with the Lyon player losing out. Then another failed attempt from Memphis: two squandered chances that would surely have reignited hope had they been converted. Valbuena's introduction brought some impact but Moulin and his defence held firm. And so it went until a highly tense finale. OL, who saw Ghezzal and Tolisso get themselves sent off in added time for venting their frustrations, lost their third match in a row in all competitions and lose ground in their bid for a top three position. This certainly wasn't the best way to reassure anyone. Shaky after their losses at Lille in Ligue 1 and at Marseille in the Coupe de France, OL had a ball and chain to drag after submitting an early goal to Monnet-Paquet in the ninth minute, which was the result of giving the ball away at the edge of the area. 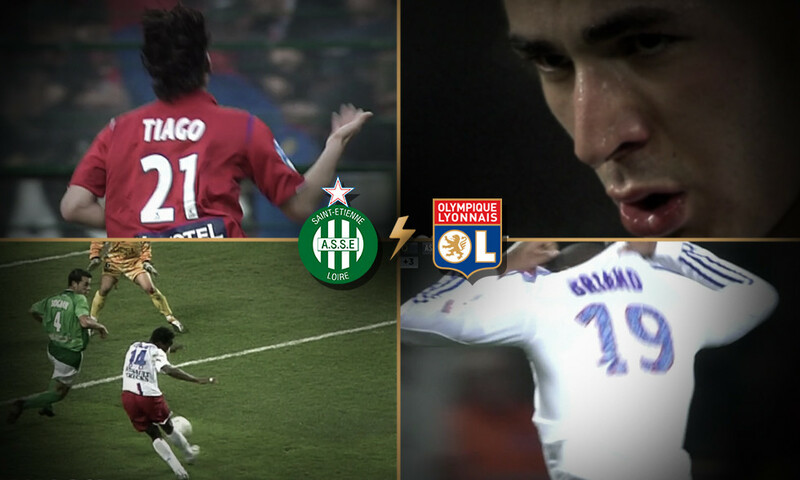 Lyon didn't give up but continued to be under a good deal of pressure from Saint-Etienne... It was then Hamouma's turn to take advantage of another give away. At 2-0 after 20 minutes of play and in a hostile atmosphere, everything got very tough, too tough. "We're disappointed with the nature of the match and with the way it started. They ate us for breakfast in the first half and the match was almost over at the break. We tried to come back in the second period but without playing as a team. Saint-Etienne went in hard for the ball and we didn't manage to win the contests. In the first quarter of an hour, you need to be able to mark your territory and tonight we still didn't manage to do that. Our run since January has been disastrous and it's going to be very hard to play for a top-three place. The only positive thing is that we won't have time to dwell on this loss because we're playing again on Wednesday against Nancy." At the Stade Geoffroy-Guichard in Saint-Etienne. Referee: Tony Chapron. Attendance: 37,012 approx. Goals: Monnet-Paquet (9’) and Hamouma (22’) for ASSE. Yellow cards: Fekir (43’), Lacazette (61’) and Ghezzal (86’, 90+2’) for OL. Soderlund (69’) and Pajot (75’) for ASSE. Red cards: Ghezzal (90+2’) and Tolisso (90+3’) for OL. ASSE : Moulin – Malcuit, Théophile-Catherine, Perrin (cap. ), Pogba, Monnet-Paquet (Roux, 75’) – Pajot (Selnaes, 77’), Saivet, Veretout – Hamouma (Lemoine, 87’), Soderlund. 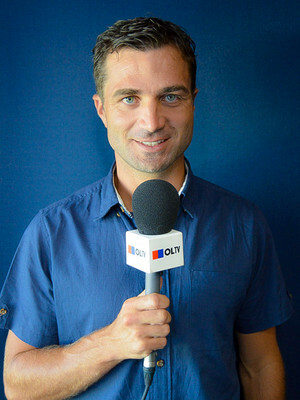 Coach: Christophe Galtier. 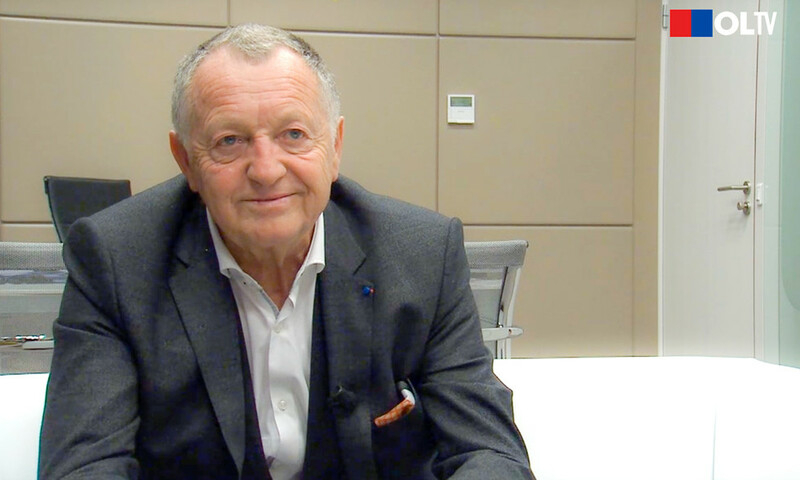 On Monday, the Olympique Lyonnais president gave an exclusive interview to OLTV and OLWEB.FR, talking at length about the talking points from the derby as well as Wednesday's match against Nancy.